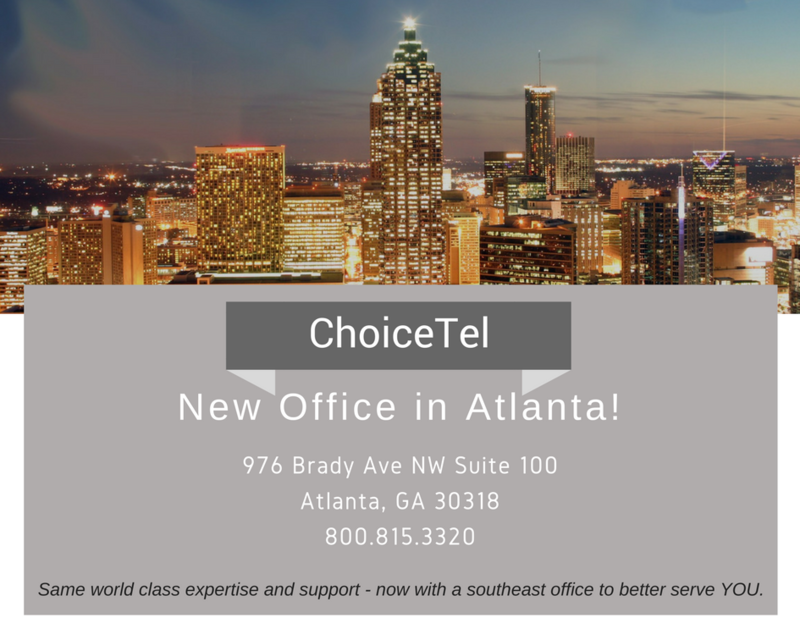 We are delighted to announce that on February 1st, ChoiceTel opened an Atlanta office to better serve our southeastern clients. Headquartered in Michigan, ChoiceTel has been bringing telecommunications and technology solutions to enterprises since 1994. With locations in Michigan, Los Angeles and now Atlanta, we can help you find the Business Communications, Technology and Cybersecurity solutions that fit your business needs. For help with your business needs or more information, contact ChoiceTel at 800.815.3320, email us at info@choicetel.com, or visit our website at https://www.choicetel.com.